Not once, but twice in his minority, young King Richard II struggled to save his crown. 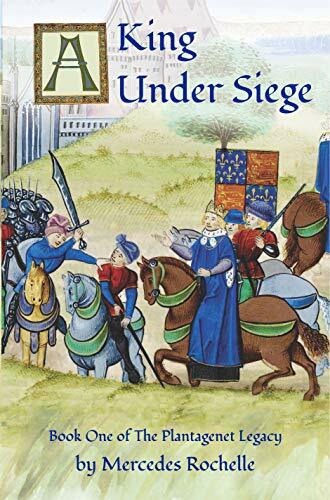 Richard II found himself under siege not once, but twice in his minority. Crowned king at age ten, he was only fourteen when the Peasants' Revolt terrorized London. But he proved himself every bit the Plantagenet successor, facing Wat Tyler and the rebels when all seemed lost. Alas, his triumph was short-lived, and for the next ten years he struggled to assert himself against his uncles and increasingly hostile nobles. Just like in the days of his great-grandfather Edward II, vengeful magnates strove to separate him from his friends and advisors, and even threatened to depose him if he refused to do their bidding. The Lords Appellant, as they came to be known, purged the royal household with the help of the Merciless Parliament. They murdered his closest allies, leaving the King alone and defenseless. He would never forget his humiliation at the hands of his subjects. Richard's inability to protect his adherents would haunt him for the rest of his life, and he vowed that next time, retribution would be his.